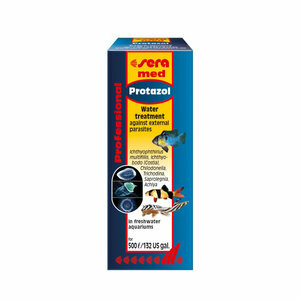 Sera Protazol (formerly Ciliol) is a ready-to-use solution to fight single-celled parasites of freshwater fish to be added to the aquarium. 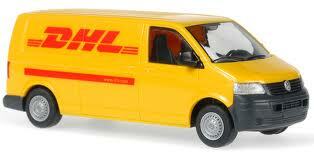 The drug ensures quick therapeutic success and is well tolerated. Patent is pending for the highly-active substance complex. General signs of an infection with parasites are feeding reluctance and slimming, reduced mobility, jammed fins, darkening of colours and scratching against decorative objects in the aquarium. - Small white spots on the fins and the body surface of the fish are characteristic symptoms of the white-spot disease (Ichthyophthirius multifiliis, shortly called Ich). - Whitish-grey mucus indicates that the fish are affected by the bean-shaped flagellates (Ichthyobodo or Costia). - A whole lot of other parasites (such as the heart-shaped ciliates Chilodonella and Trichodina) affect mostly weakened fish. - White cotton-like tufts, particularly on wounded areas of fish or spawn are typical for fungal diseases (Saprolegnia or Achlya). If possible, it is recommended to have the diagnosis secured by a microscopic examination of smears.